Unique Provence Luxury and Authentic Travel Blog: Marseille 2013 - Getting Ready. I am sure that now you will have heard that Marseille is the European Capital for Culture in 2013, and if you haven't you know now. The Vieux Port (Old Port) of Marseille viewed from the Palais du Pharo. As a professional in the tourism business this is an event that I have been waiting for with great impatience. Not only is it an exciting year for all things cultural, with a superb line-up of concerts, some outstanding, not to be missed, art exhibitions, the creation of new museums the star being the MuCem, a Museum of Civilizations From Europe and the Mediterranean who's audacious architecture alongside the Fort St Jean is to be found at the entrance of the Vieux Port and the Commercial ports becoming the first building to be seen by those arriving from the sea, and thus becomes a symbol of Marseille and its profound historical and cultural attachments with the Mediterranean. The MuCem (Museum of Civilizations From Europe and the Mediterranean) with the Fort St Jean to the right and the Cathedral of Sainte-Marie-Majeure de Marseille in the background. 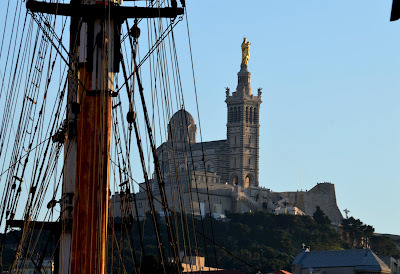 Being the Cultural Capital of the Europe is also an opportunity for Marseille to rid itself, or at least lessen the image it has as a dangerous city, where poverty and crime are sadly the only vision that many people have retained. Well here's is the big revelation. There is poverty and crime in Marseille, but no more than Paris, London, New York, Bangkok etc. etc. So here is tip that will be invaluable on your next visit. Stick to the centre and avoid the dangerous bits. They are easily recognisable as lacking in museums, restaurants and with few smiling people sitting in side walk cafés. If you live in a big city you'll have no problem spotting them! Notre Dame de La Garde overlooking the city . Marseille has always been a fascinating city to visit, but sadly has been avoided due to the continuous stream of bad press it receives. Now it has a chance to redeem itself, helped by a multi-million Euro facelift. 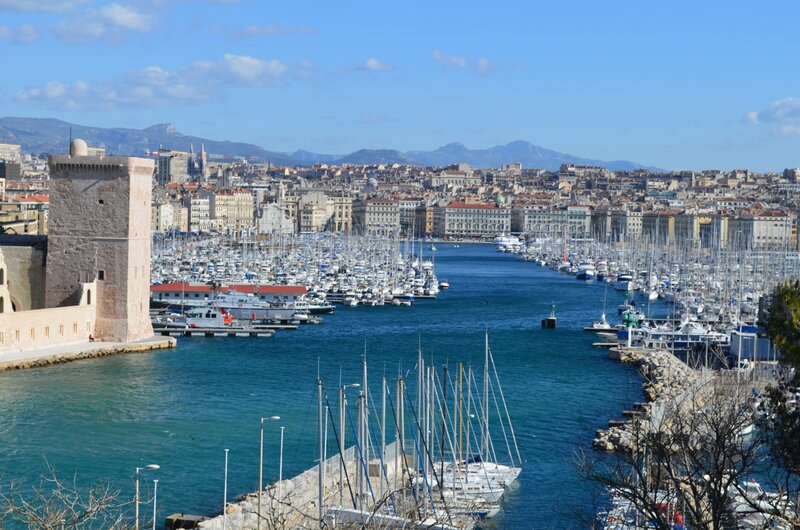 Visitors to the South of France who don't spend at least one day in Marseille will be missing out. I have put up some information on the Unique Provence website, and can provide bilingual guides should you require them. 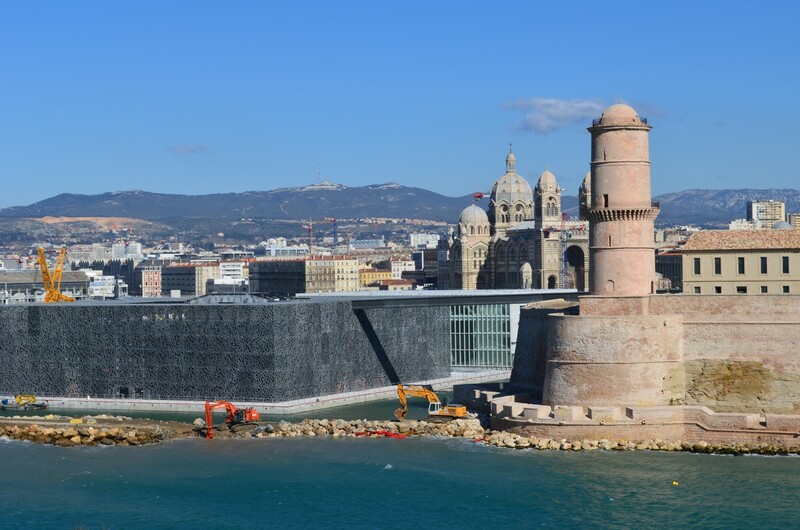 This is going to be an exciting year for Marseille and all those who come to visit and as the year goes on I will be visiting as many of the exhibitions, concerts and events as possible and I will put up posts for each. Don't hesitate to contact me or leave a comment.